An often perpetuated myth related to olive oil is the “Fridge Test” - a supposedly simple home test for olive oil authenticity. The myth is so widespread that you may even see conflicting versions of the test – some say your oil should solidify if it’s real, and others say it should not solidify if it’s real. If only it were that easy! This “test” unfortunately, is completely false and misleading. Read on to see why even the rumor-mongers are confused on this one. Almost all oils will become cloudy and eventually solidify at cold temperatures. 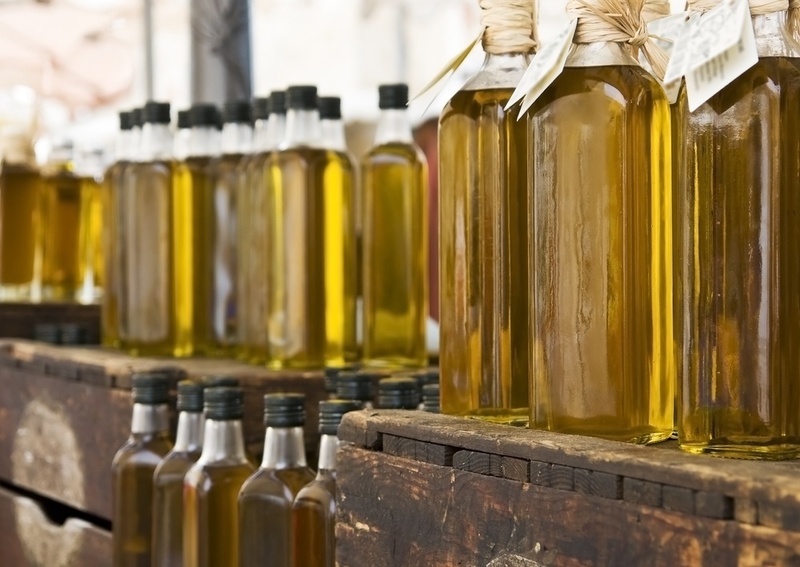 Generally speaking, refined oils (such as regular olive oil or vegetable or seed oils) will solidify at a lower temperature than extra virgin olive oil. However, the time and the level of cold required to get to the solidification stage are greatly affected by the overall chemical compounds of the oil. These include the contents of the saturated fatty acid chains, like palmitic or stearic acid, that can change the melting-point of the triglycerides (the main constituent representing almost 98% of all oils and fats) and other compounds in oil as well as the presence of natural waxes. All these factors affect the final profile of the olive oil, and even olives from the same trees can produce oil that varies from year to year. Since olives are a fruit, the skin has natural waxes that protect the fruit as it grows. Evidence of these waxes can be traced in the final product. These natural waxes aren’t harmful, but the range found is variable and some suppliers even chill and filter the oil to remove visible waxes for appearance purposes in order to produce a more polished oil, which will also affect the oil’s solidification temperature. Finally, in order to achieve and keep a consistent flavor profile, some producers may blend several varieties of extra virgin olive oil from various types of olives or regions. This will also affect the time and the level of cold required to get to the solidification stage. There is no simple magic home test to check for olive oil authenticity. Extra virgin olive oil will crystallize and/or solidify at a wide variety of time and temperature exposures. All this variance is what makes extra virgin olive oil truly special. Forget the fridge, and focus instead on enjoying the wide variety of flavors found amongst extra virgin olive oils. 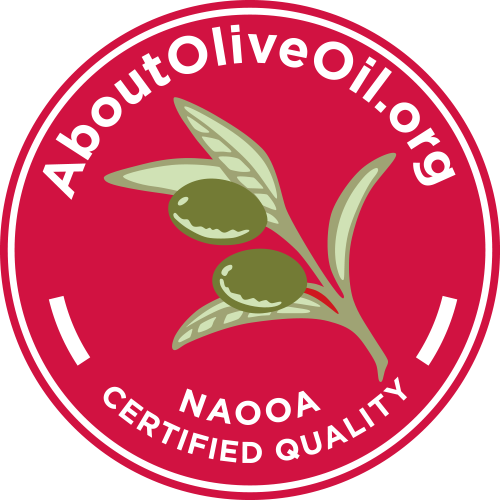 If you are looking for assurance that the olive oil you buy meets global olive oil quality and purity standards, look for the NAOOA quality seal. Brands that carry this seal are tested at least twice a year for quality and autenticity. The seal looks like this. A list of brands that carry the seal can be found on the NAOOA website.